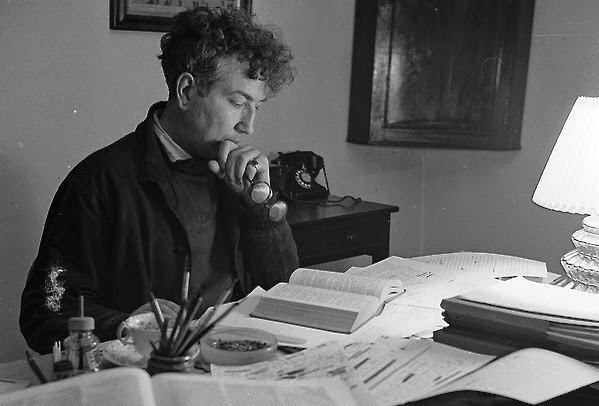 Robert Graves (1895-1985) was one of the finest lyric poets of the 20th century in any language. He wrote delightful light verse, too. The first link below will let you hear him read this poem at Hunter College in New York in December 1966. There's also a recording of the majestic "To Juan at the Winter Solstice." AUDIO: Robert Graves reads "A Slice of Wedding Cake"